Hubli Accent Round Table 153 started up by taking up 3 projects of 75 School bags donation at 3 different schools where the children were selected by the school authorities who where in real need of School bag. The project commenced on 29-07-2017. The highlight was the happiness we could see in the children’s faces by getting a bag for thier use, All in all it was a great start for the year under the Chairmanship of LMF TR. Sachin Shenoy. Area Chairman Elect, Area X GLMF Tr. Sachin Shah & National Cyclothon Convener 2017-18 LMF Tr. 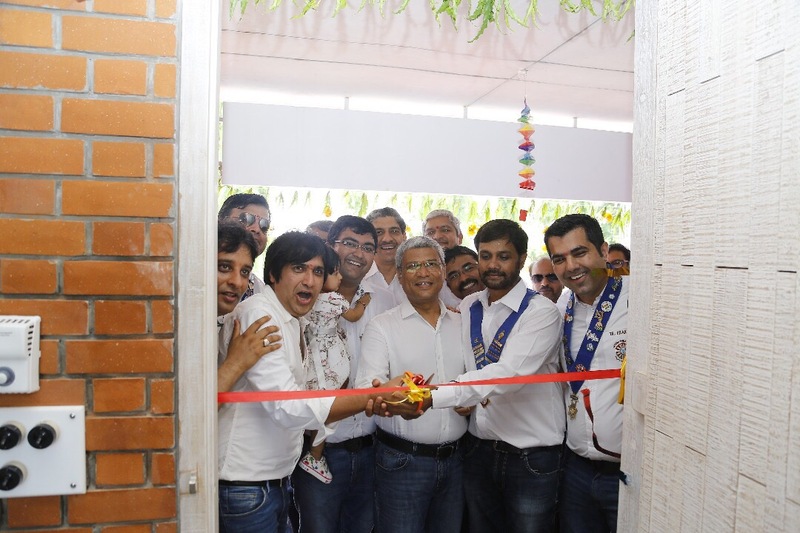 Nitin Shenoy, HT Praveen Toppalad, Tablers, Circlers & Twinklers were present for the project. School Bag Donation at Govt. Primary Kannada Medium Girls School No.7 situated at Shettar Oni, Ganesh Peth, Hubli, where in HART 153 Donated 20 Bags to the children. School Bag Donation at Govt. Primary Kannada Medium Boys School No.8 situated at, Ganesh Peth, Hubli, where in HART 153 Donated 20 Bags to the children. School Bag Donation at Govt. Urdu Model Boys School No. 4 situated at, Fish Market, Ganesh Peth, Hubli, where in HART 153 Donated 35 Bags to the children. Project Courtesy: HT Praveen Toppalad & LMF Tr. Tushar Kavalekar. After the massive success and support of UJ Pin Auction and Donation, the home table of UJ ART-40 was able to generate close to Rs. 25 lakhs for supporting poor and needy people who are not having funds to afford Chemotherapies from Doctors and Hospitals. Out of the total funds generated we were able to spare very negligible amount for opening up the centre in Hospital. We are very thankful to Samarpan Hospital, Dr. Manoj Kapoor and Dr. Parul Kapoor for giving us a ward on a long term basis which can be used by us for supporting poor and needy people Chemotherapies as UJ memorial Centre. We had organized Special UJ T-shirts and Plaques for the Inauguration Ceremony. Huge number of tablers and circlers were present in the Inauguration Ceremony. We have given Special UJ T-shirts to all the tablers, 41ners and family members of Utkarsh Jani. In fact, UJ’s father told me that he would like to inaugurate the Centre wearing UJ T-shirt which is a small token of gratitude by Round table India. Before the inauguration we have requested Shri Bharat Jani to say a few words to all of us. He thanked Round Table India family for generating such a huge sum in the fond memory of his beloved son. He has also promised to support this cause on life long basis. The Inauguration Ceremony was also witnessed by NVP Chris. He had shown his gratitude and love for UJ and generously thanked all the donors for their support. He alos announced that the winners of the Pin Jacket will have their jacket in an AGM in Coimbatore. On behalf of ART-40, Past President Vineet Parikh had also thanked all the members present during the inauguration ceremony. Bharat Uncle, Geeta Aunty and Shiv (Utkarsh’s Son) inaugurated the centre. We all took pictures and selfies in the ward. Special Wall of Fame was also kept to recognize the major donors who helped us in opening the centre. We had also thanked Tr Jwalant and Tr Saurabh for renovating the centre in just one month’s time. We look forward to serve many poor and needy patients under this initiative and try to contribute something for our fighter Utkarsh Jani. Surat Round table – 135 under the initiative called “Freedom Through Education” undertook FTE project to improve / provide education enabling infrastructure in government and private institutions which are themselves unable to fulfill their requirements due to financial and administrative constraints. Under the Initiative of “Freedom Through Education”, SRT-135 identified Vallabh Ashram Shala, a school in the Kureilia village of Vansda Taluka in Navsari District , apprx. 95 kms from Surat and their need of 6 classrooms. SRT-135 and SLC – 72 along with SURT-265 & SULC-138 inaugurated RTI FTE BLOCK of 6 class rooms in presence of National Project Convenor Tr.Philip Mouriya , Area Chairman Sumit Khuraana and Area Project Convenor Tr. Mukesh Bhajanka on 18th June. Indian Cricketer Munaf Patel was also present as the chief guest for the event. The project was completed in apprx. four and half months time by our dynamic project convenor Tr. 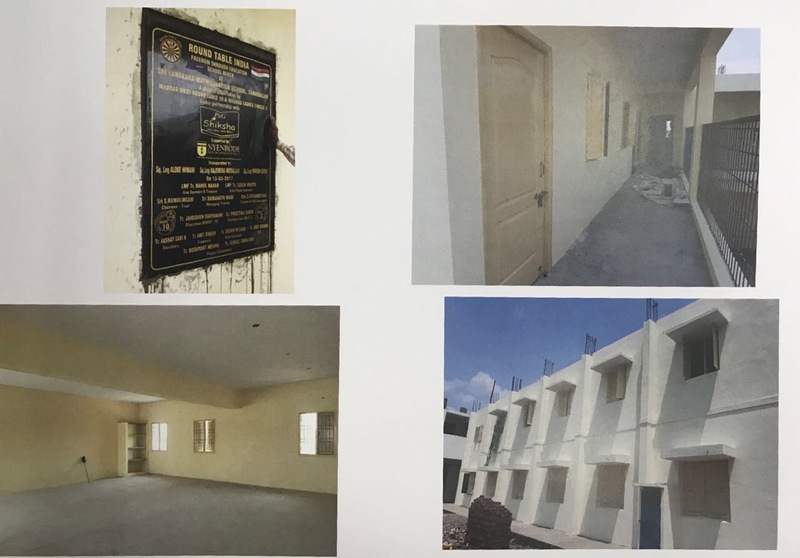 Mukesh Bhajanka.The scale of the project amounted to around 2660 square foot, and involved a sum of about rupees forty one lakhs .The school block will benefit apprx 250 childrens every year from 1st to 8th Standard. The funds for the construction of class rooms were generated by various resource mobilizing fundraising events, school trustees, contributions from SRT-135, Round Table India and Netherlands NYENRODE Business School (NNBS). At the time of the Project, we had an advantage of listening the wonderful speech given by National Project Convenor Tr.Philip Mouriya , Area Chairman Sumit and Area Project Convenor Tr.Mukesh Bhajanka. They were instrumental in cutting the Ribbon at the FTE School Project and inaugurating the Solar Panels for the school. Tr.Philip Moriya said, “one of the most beautiful projects that I have visited till date”. Everybody present at the school were mesmerised by the elegance and magnificence of the school building.To add value to the occasion, we also donated sports equipment to the kids. Indian Cricketer Munaf Patel signed many bats and children were overwhelmed by this kind gesture. Cultural programs were performed by school children during the handover ceremony and every one including dignitaries appreciated it. Momentos were given to the guests ,dignitaries ,donors and every individual for their contribution towards the school and their presence for the inauguration ceremony. We also distributed Chocolates to the kids on the occasion of father’s day. A magic show was organised for the students, which added charm and smile on their faces. Through this project many goals set by SRT-135 like increase in number of students, increase in the percentage of girl students, improvement in attendance at schools, improvement in hygiene environment, improvement in performance of students, etc. will be achieved. We have installed a 4 KVA Solar Panel System at the roof top of our FTE school block. The scale of the project amounted to a sum of about rupees 2,51,000/- .With this initiative, the school shall be saving on an Average 16 units per day which will give them an effective saving of Rs. 50,000/- per annum. Also, with solar installation we can save the atmosphere and eco-system ultimately helping our Mother Earth. We also planted 50 Saplings which was the part of our “Go Green Initiative” and added to the beauty and ambience of school premises. Another project was also done, we gave a cheque of rupees 11000/- for Umarkui residential school(FTE school of last year) against their need of mattresses for children. All in all a very satisfying project towards contributing something back to the Society. Taking our infused enthusiasm towards a sustained community development we at Calcutta Sterling Round Table-106, and the Ladies Circle-83 took up two school projects along with a Coke Support My School project. Understanding the importance of primary and secondary education in building a better future for the society on a whole, we built one dozen classrooms across two schools within the span of 3-4 months, to an extent to which Coco-Cola also provided us support through its SMS initiative. In a move which has a direct positive impact on at least 1300 children in and around the town of Dankuni, a prominent district of West Bengal, we did Stone Laying on 26th March 2017 and went about building 8 classrooms, and 2 toilet blocks in Haripur Durgapada Memorial High School . The building of these toilet blocks, will not only ensure a ‘Swachh Bharat’, but also ensure that the children defecate, and study in hygienic conditions. We built separate toilet blocks for girls and boys, in a bid to curtain the unwelcoming and non-conducive environment, and to increase the attendance by reducing absenteeism because of lack of basic infrastructure. We also put in place a water purification system so that the children have access to clean portable water. The school was successfully completed and inaugurated on11thJune 2017. The Entire Tabler, Circler and Twinklers were present along with National President Ladies Circle India, GLMF Prachi Agarwal, Area 4 LC Chairperson Shweta Poddar, RT Area 4 Chairman Sandeep Harbhajanka and RT Area 4 Extension Convenor Sundeep Kapoor. To encourage a holistic development in the children and to ensure that they are active physically as much as they are mentally, if not more, we also developed a playground in the premises. In a similar move, we did stone laying of Dayanand Saraswati Vidyalaya on the same date i.e. 26th March 2017.We made 4 new classrooms ,a water purifier, a library hall which directly affects the 600+ children reading at the school. In addition to the above, we also built a reading room for the children so that their education does not remain confined to the books they read in their classrooms, and that they explore the world through words as well. The total Cost for the above 2 schools combined was more than Rs. 50 lacs. On the same day, FTE Convenor of table 106 Kumar Mangalam was also awarded the Ladies Circle president pin which made the celebrations four fold. In all earnest, we hope that these droplet like efforts of ours collectively brings about a wave of change in the society, and brings about a better future for not only these children and their kin, but also for generations to come. ASRA school caters to specially-abled students who often consider themselves not compatible with being part of everyday society. The school was established in 26th September 1991, chaired by Mr Nilamani Khuntia, and a few concerned others who worked together for the welfare of society. Not only does this school provide education to special needs children, it also does it free of cost. 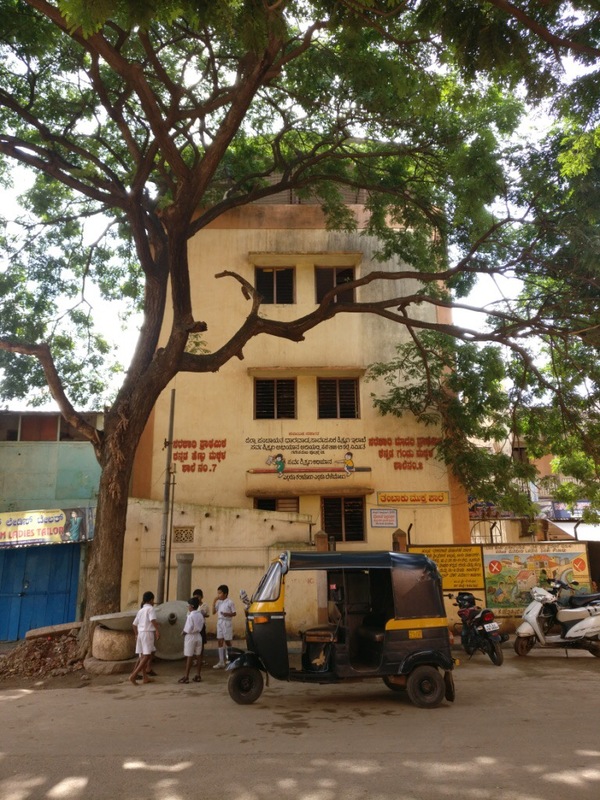 It was, prior to the contribution of Round Table India and BRT 53, operating out a rented space, with no proper planning to cater to the growing number of students in the locality. This entire set up directly benefits 180 special students which consists of 6 classrooms and toilets spread over a total 4100sqft built up area. We at BRT 53 stand firm in our agenda of promoting ‘Freedom Through Education’ and by creating this strong platform for such eager but ignored students, we are hopeful to create a collaborative and supportive environment in ensuring that every person, however differently-abled they may be, feel like contributing members of society and uphold their respect in the community. PMRT 65’s association with the school [situated at Karvenagar, Pune, Maharashtra] goes a long way and it has been over one decade since PMRT 65 started supporting this school. The school originally had one temporary shade where children used to study, that’s when we decided to do something for the school. Apart from the temporary shade which reminds what it was, a separate kitchen, one entire floor allocated to technical section, a large hall, teachers room (2), seven classrooms, playground. Back then we could have not dreamt that we would travel this long with one school, its been an extremely satisfying journey. Today we inaugurated the completed school building, in the presence of Area 15 chairman Tr. Abhishek More, which includes seven classrooms, one teacher’s room and an entire basement allotted to the technical wing. Area 15 chairman Tr. Abhishek More congratulated PMRT 65 for a wonderful job done; he was very impressed with the inauguration ceremony. We also took a tour of the school and were impressed to see the technical lab where the students are given hands on training to help them become job ready when they leave school. The inauguration was followed by a small felicitation ceremony where the trustees of the school extended a vote of thanks to PMRT 65 for their help and association with the school for so many years now.